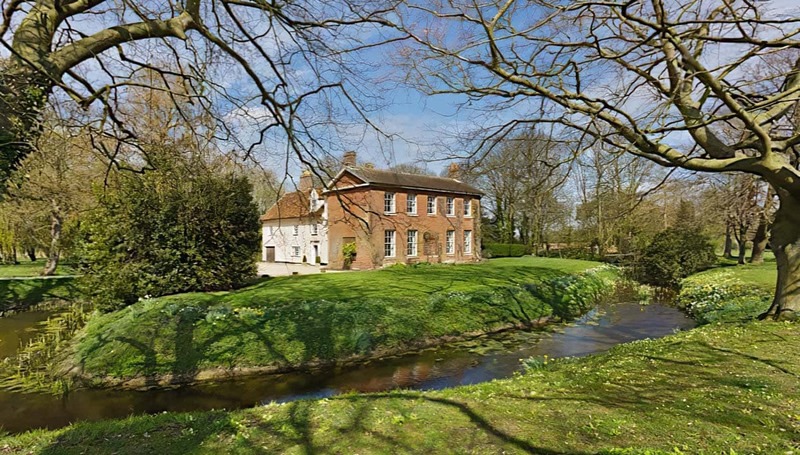 A beautiful, private moated manor house, in the depths of the Suffolk countryside. Sleeps up to 23 in 8 bedrooms with 3 bathrooms. Weekends from £2,300 to £3,300, full weeks from £3,500 to £5,500. For shorter stays please enquire. If fully occupied, price per person per night is usually between £22 and £48. The oldest part of Ringshall Grange dates from 1560 but local heritage experts suspect the moat once encircled a much older Norman settlement. The house was commandeered during the Second World War and housed the senior officers of the American Airforce. The servants' bell still works! Ringshall Grange, in Suffolk, is to be found down a long, winding drive, and within a large, medieval moat, which protects the house on all sides. The house is a mixture of periods (the earliest parts of the building are Tudor), and is presented as a comfortable family home. It works brilliantly for holidays with family and friends, especially if you’re celebrating something special. 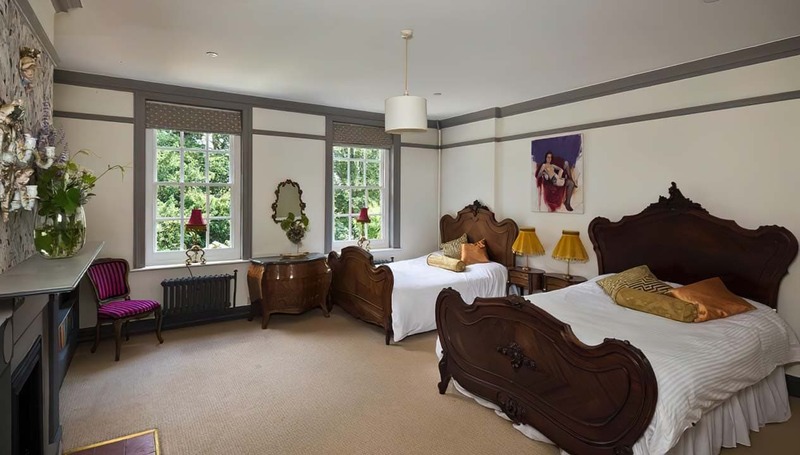 There are 8 bedrooms, which sleep 16 guests, although you could fit up to 23, depending on who shares a room with whom. There are three large bathrooms. 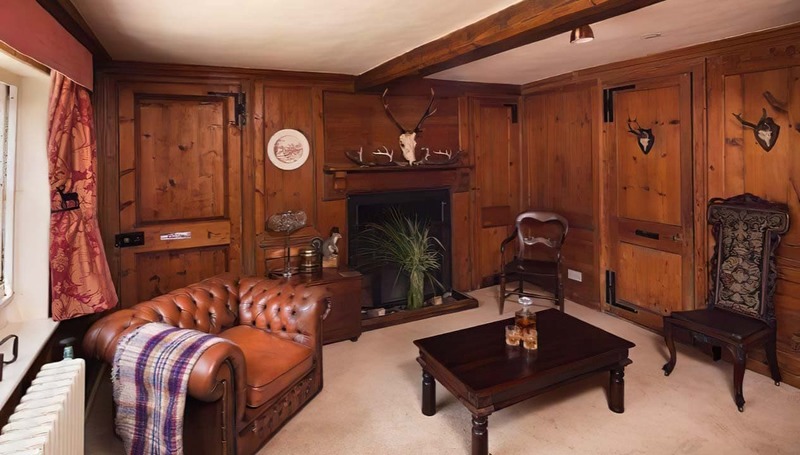 The reception rooms include a dining room (seating 23), a comfortable salon, with squashy sofas and television, and a games room and ‘Whisky Room’ (which is above the cellar). 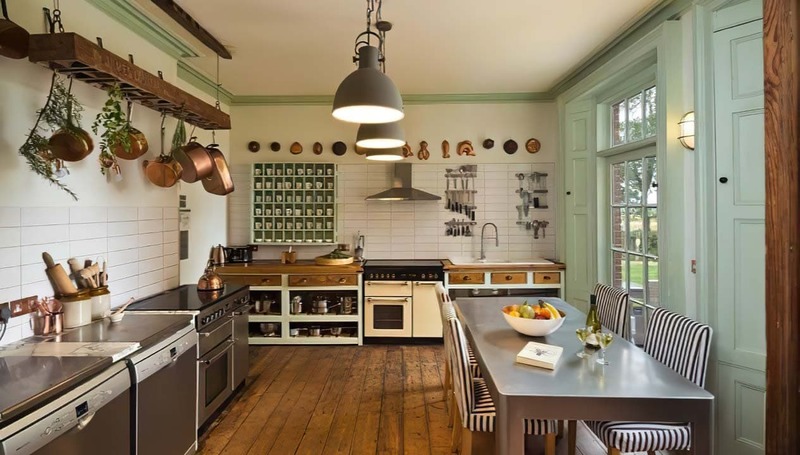 There is also a kitchen (with two cookers and two dishwashers), and a fabulous Karaoke Room, with the sort of dressing-up box that banishes all inhibitions and brings out the diva in any guest. Outside, there is a terrace with a gas BBQ and a pizza oven, lots of lovely lawn for silly games, and a hot tub, for even sillier games. Across the moat, you can wander beneath ancient trees and explore the wild-flower meadows. Beyond the vegetable gardens, you’ll find the belvedere – a mound from which you’ll find lovely views of the Suffolk countryside. 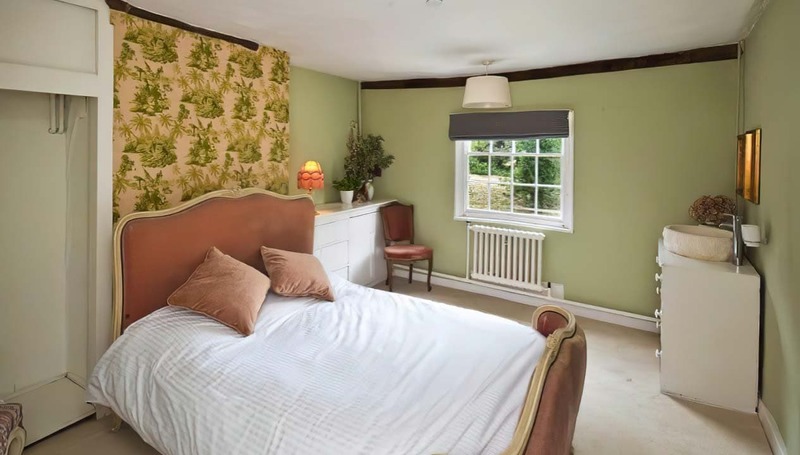 There’s lots to do in the surrounding area, and walkers will be particularly pleased with the amount of rambling.The house is within reach of Cambridge, for a city day out, or the Norfolk and Southwold coasts are only an hour’s drive if you fancy a picnic on the beach. The management team looking after the house are pretty hands-on, and can help you arrange any special activities suitable for large groups, both on and off site (anything from yoga to quad-biking). Do contact the team for further details. Had the best time at the stunning Ringshall Grange. The owners of the house go out of their way to ensure all your needs are met. From the individual interior design of every gorgeous room, to the fancy dress room, the pizza oven, the gorgeous grounds, where the owners ensure they feed the local wildlife, the list goes on... it’s a really special place, and a lot of love has been put into restoring this little gem. Perfect for a lovely weekend away, will definitely be going back! We held my sister’s hen do at Ringshall Grange and had the most fabulous weekend there. Everything had been thought of in the house, the decor is fabulous and all of the hens loved it. We had such a great time pizza making using the outdoor pizza oven, using the hot tub, playing games outside and inside (it’s the best house for a game of sardines! ), using the karaoke room, and holding a sit-down formal dinner there. Laura was on hand for brilliant advice on caterers and just about every other supplier we might need. I hope to return again one day for another brilliant weekend. Just on our way home from an amazing weekend here! The photos and descriptions don't do it justice!! The little extras and generosity of the place is immense!! Everywhere you look there's more to see. Would most definitely recommend and would love to go back!! Just spent a fantastic Christmas at Ringshall Grange. There were 21 guests altogether and you didn’t feel on top of one another at all. Lots of rooms to spread out, each of which was beautifully and stylishly decorated. Despite its ‘grandness’ it still managed to feel homely which was perfect for our family Christmas. It had every amenity you would need for a home from home, I look forward to coming back! We had a wonderful weekend and so did all of our group. 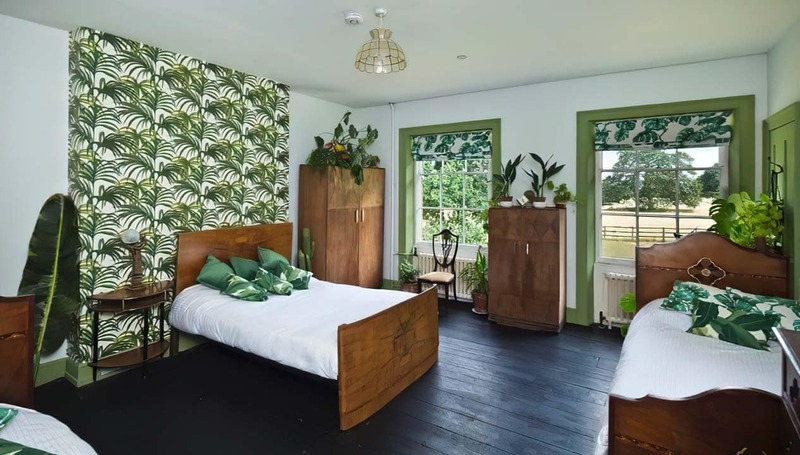 We were all astonished at how beautifully the house has been done up - especially the bedrooms and bathrooms (the plant and cactus bedroom was v impressive!). Additionally, the extras - the hot tub, pizza oven, games room and dress up/ karaoke room - really made the weekend and were very popular with everyone. Laura, the owner, sent us texts during the weekend with instructions, which we found very helpful, and her replies to emails were fast and informative. The only negative point was the number of flies in the kitchen, though the owners provided food covers and fly spray, and were very responsive and helpful with suggestions on how to keep them out. Overall I couldn't have found a better place for a celebration weekend and we were all very sad to leave on the Sunday. It felt like we hadn't had enough time to fully appreciate the house. Had the most amazing couple of sunny days in Ringshall Grange last weekend! What a place to enjoy quality time with your friends and family - we made use of the fully equipped kitchen (and herbs/veg from the garden!) 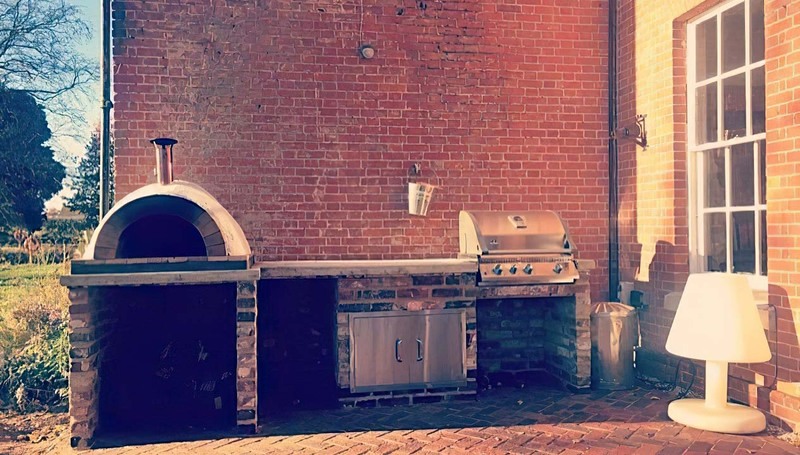 outdoor pizza oven/BBQ, hot tub and beautifully decorated lounge and bedrooms. The kids loved the lawn games, books and fancy dress room. Will be coming back again! We visited Ringshall Grange as a surprise for my husbands 40th birthday with friends. The manor is just perfect for groups. It has everything you could wish for and more for a truly memorable stay! The decor is unique and quirky and every last detail has been carefully considered to ensure you have everything to hand. Laura is the perfect host, nothing ever too much trouble. Thank you so much, we cannot wait for the next occasion to revisit! Ringshall Grange was the perfect place for our stags to celebrate together for one party packed weekend. It’s perfectly situated in a beautiful location tucked away from anyone else. Lots of dressing up, making fresh pizzas, hot tub action, pool table and a grand banquet room for dining. The place is full of nooks and crannies to catch up for chats around the beautiful house. Laura has been so accommodating and welcoming from our booking to saying goodbye. Already missing the place. Thanks for having us Ringshall Grange! I booked Ringshall Grange for my friends Hen do. From the point of booking and throughout our stay Laura was amazing and couldn’t have been more helpful or lovely if she tried. Our stay was excellent and exceeded every expectation we had for a weekend venue. 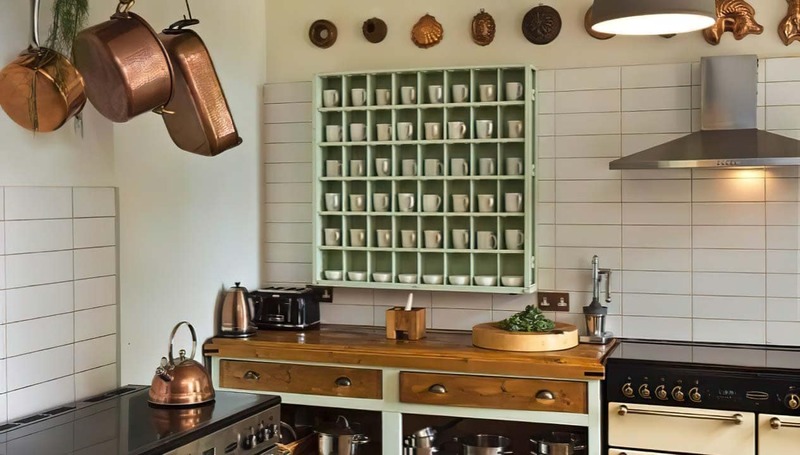 It is the attention to detail and the quirkiness of the house that makes the stay so unique and enjoyable as well as the beautiful setting. The girls all loved the fancy dress room and the hot tub. Perfect place for a weekend with friends or family. Would definitely recommend! We stayed with 20 friends for 2 days for a 40th birthday. Ringshall is the perfect place for a get-together and every need is catered for from fun and excitement to comfort and convenience. The bedrooms and bathrooms are so beautifully done and its obvious that no expense has been spared in making these areas homely. 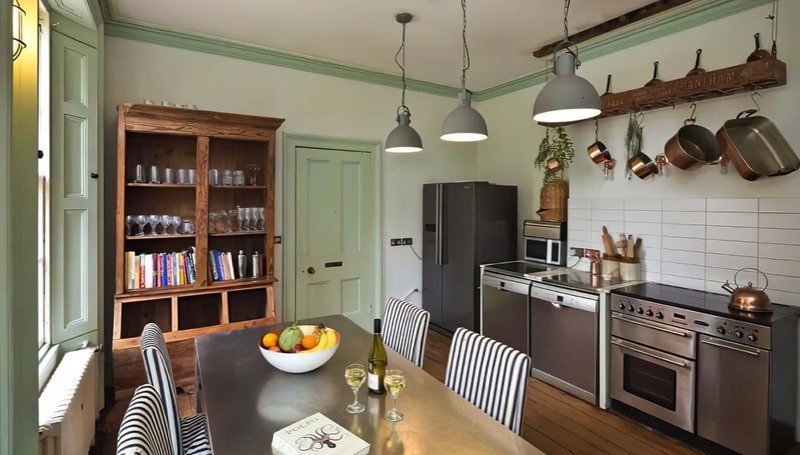 The kitchen is very well equipped and the dining room is beautiful to sit down in to eat, drink and be merry! The additions of the karaoke and fancy dress area are fantastic and we had a lot of fun in here. Myself and 20+ friends rented Ringshall Grange for 3 nights to celebrate my 30th in December, and we couldn't have had a better time! The house is spacious, exciting, comfortable and generally perfect for large groups of people having fun. We cooked, drank, danced, played games, went for walks and generally had a terrific time! Laura and Stephen were unbelievably friendly and accommodating. I look forward to coming back here –hopefully on some sort of regular basis! Absolutely perfect. Ringshall grange is an incredibly beautiful house which I loved celebrating my 30th in. Between the games room, karaoke, croquet lawn, pizza oven and bbq there was so much to do. There were 20 of us and it felt very spacey. The grounds were huge with enough space to run around and play some touch rugby. Dinner room and living room were large to accommodate everyone for eating, drinking and chilling out. Would 100% recommend! What an amazing house! My wonderful friends kindly hosted my hen weekend here. The attention to detail in the house is superb with gorgeous interiors and everything you need for a decadent weekend away. I would be very happy to rent out Ringshall Grange for another event or party. Thank you so much Laura and Stephen! we had the best weekend staying here. the house is stunning and caters for everyone. fancy dress, hot tub, pizza oven, karaoke room, games room, footy goals out the back, etc! we didn't want to leave. already trying to plan the next trip back. FIVE STARS!!!! Absolutely loved spending a friend's birthday weekend at Ringshall Grange. The house is beautifully and tastefully decorated, keeping the original old features of the house, yet it has been enhanced with contemporary, sweet kitsch features that work perfectly together. 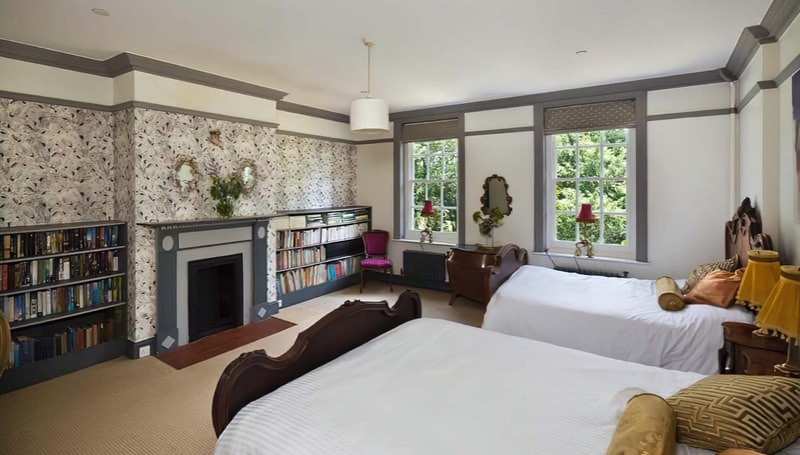 All the bedrooms are spacious and light with themes in each that lend a touch of individuality. A particular highlight was the fancy dress cupboard, with 100 outfits to pick from and the games room and outside barbecue area, complete with hot tub! All in all, I would highly recommend Ringshall Grange for a weekend getaway. Just back from an excellent weekend at Ringshall Grange. It was the perfect venue for a large group of friends to celebrate a birthday. I will recommend this house to everyone without hesitation. Wish we were still there. Many thanks to Laura and Stephen for creating a place to share with us all. Just back home after spending a wonderful weekend at Ringshall celebrating a friends 40th. Laura and Stephen have done an absolutely incredible job of creating a magical destination perfect for group getaways. 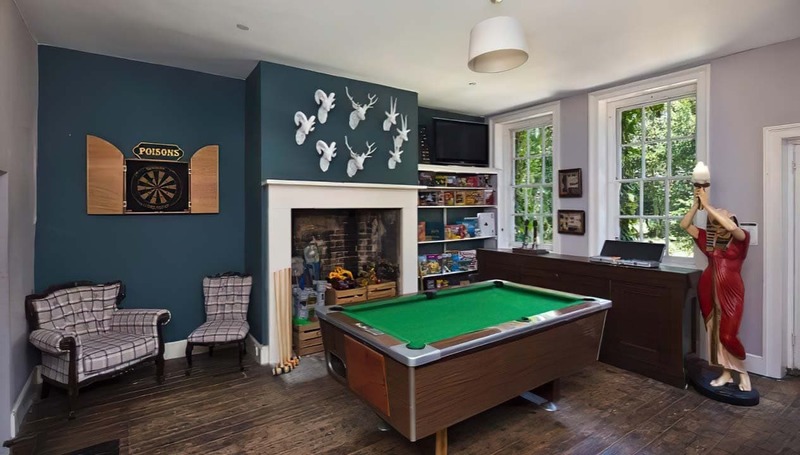 The house itself has everything you could possibly want - ample beds, massive kitchen with everything you need to cook up a big feast, bbq, pizza oven, games room, karaoke room, hot tub, fancy dress - you name it, it's there! The grounds are magnificent and I couldn't help but notice little touches that would have made it a great trip if we'd had the kids with us too (we were blissfully child free on this occasion!) such as a football pitch/goal, loads of ace toys and board games and a cool den made out of twigs and sticks. Our boys (2 and 5) would have loved exploring the woods around the grange and the house feels like it would be ideal for large groups of families with kids of all ages. I can't recommend the place enough - get it booked! We had the most amazing time at Ringshall Grange. It was everything and more than what we expected. Laura was the most amazing host to us and accommodated for any extras we needed. The house was absolutely beautiful. Im pretty sure that every single one of us left planning our next visit. I would 100% recommend Ringshall to everyone (just not on the dates we want it!). 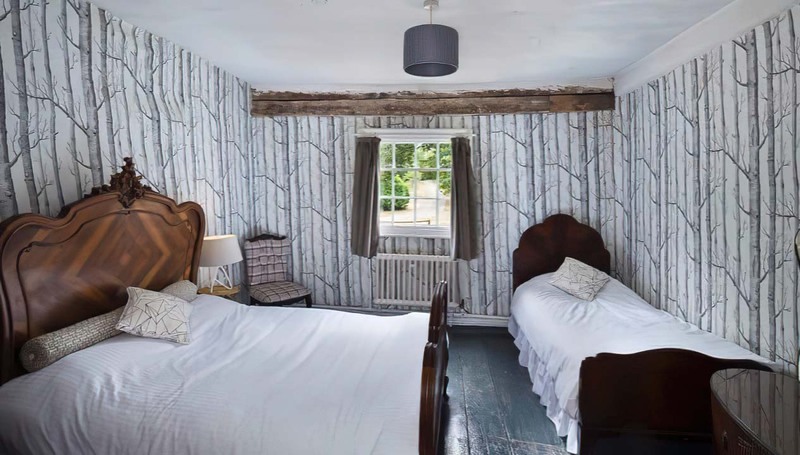 Laura and Stephen have created something really special in Ringshall Grange – the house and grounds are so beautiful and they have decorated it in a way that’s really quirky and cool, but cosy and warm at the same time. We celebrated a 50th Birthday at the house and everyone remarked how fabulous it and the grounds are, and felt completely relaxed and at home as soon as they arrived. The bedrooms are large and comfortable, and there are plenty of common areas to keep everyone entertained - a lovely formal dining room where CateringforSuffolk served us a delicious dinner, a brilliant games room/nightclub where we danced the night away, and a dress up/karaoke room that was full of fab costumes. The kitchen is lovely and also very well equipped - we were blessed with amazing weather so spent much of our time chilling in the garden, cooking pizzas in the wood fired pizza oven and relaxing in the hot tub. At only a couple of hours drive from London the house is in a great location, with grounds stretching as far as the eye can see. Laura was really helpful and accommodating when making the arrangements and gave us a such a warm welcome when we arrived. You can tell that her and Stephen really love the place and genuinely want their guests to enjoy it as much as they do – and that really comes across. This is a wonderful house and we had a fabulous, unforgettable weekend! Highly recommended! 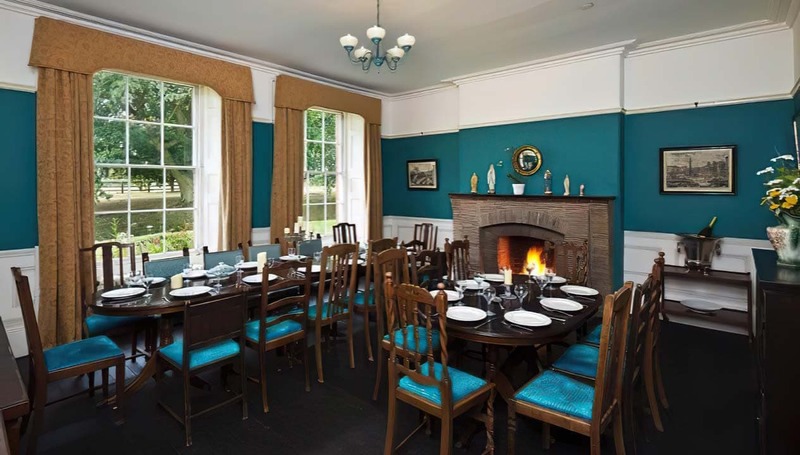 We spent a long time looking into large country properties to hire for my birthday celebrations and after much research, decided on Ringshall Grange. It was the best decision we have made! 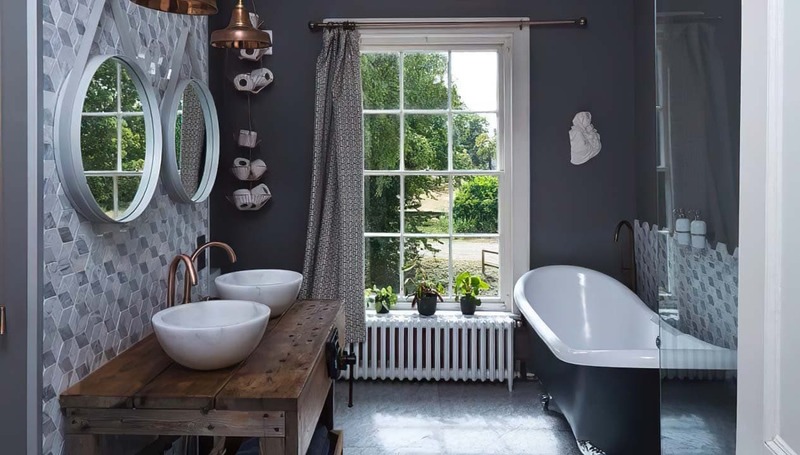 This is an absolutely stunning, well equpped and beautifully styled house, and we have just returned from such a wonderful weekend there. Right from the initial enquiry, contact with the owners was swift, efficient and professional. Laura answered all our queries and was incredibly helpful in suggesting local contacts for catering, pub walks and anything else we asked of her! All contracting and payment was very well organised and efficient. The house itself sits in lovely grounds down a long driveway set back from the road, and as such is very private. 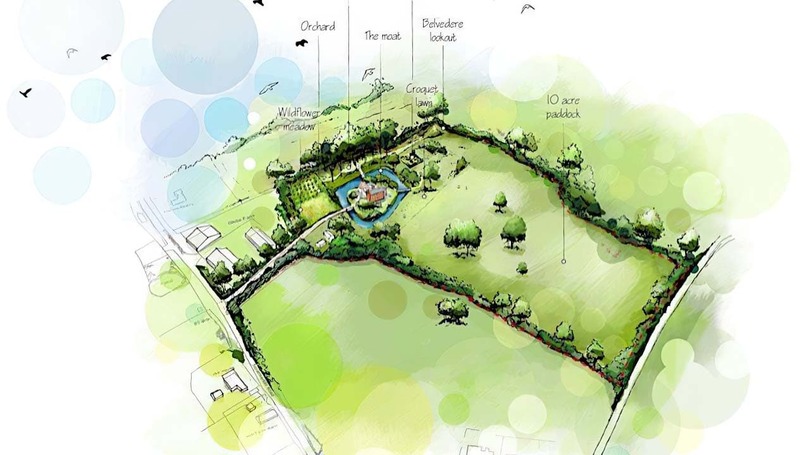 The moat surrounds the house and there are woodlands, a large meadow and lovely private grounds to enjoy. Whilst we were staying we saw numerous ducks, squirrels, partridges, pheasants and even a grazing deer on the other side of the moat! Inside the property there is plenty of space for everyone - we took a group of 22 people for the weekend, and it never felt like we were on top of one another. The children in our party had a fantastic time playing outside or in the well equipped games room - or on the karaoke. It is also a great house for hide and seek wiith it's 2 staircases and separate wings, so that kept them amused for hours too. Meanwhile the adults had the run of the kitchen, huge drawing room, whiskey room - and of course the hot tub! We also had a formal dinner on the Saturday night and the dining room was the perfect setting. 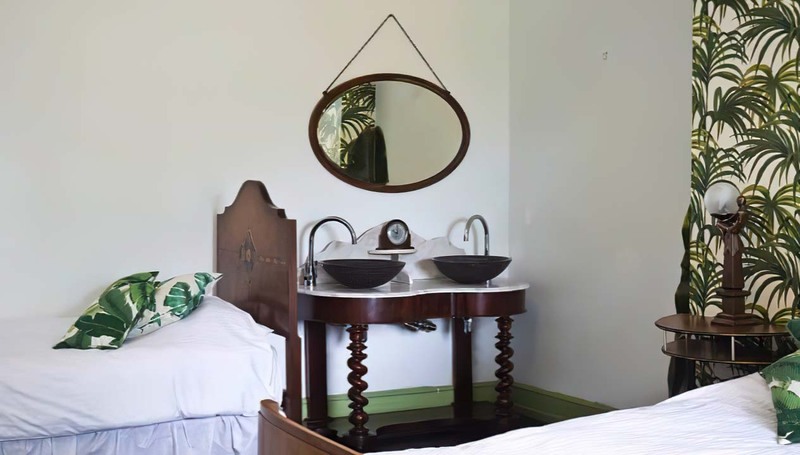 All the rooms have been beautifully styled and decorated with incredible attention to even the smallest of details which really made a difference. The bathrooms are stunning, and there is a plentiful supply of soft white bath towels and toilet rolls. We cooked quite a lot during our stay, and the kitchen is really well equipped with everything you could need. There is also a larder full of basic provisions which was incredibly helpful - just pop a few pounds in the War Child collection box if you use them! And try out the pizza oven if you can - it is fantastic. I can't speak highly enough about how wonderful Ringshall Grange is. Unlike numerous other large proporties we have hired in the past, this house really does feel like a much loved family home - you can see the thought, care and attention Laura and Steve have put into every single detail. We genuinely wouldn't hesitate to return to this beautiful property, so do go and stay there yourselves - you won't be disappointed! This house was amazing for my 30th birthday weekend. The decor is incredible and having the hot tub was great. The best thing has to be the fancy dress room! Highly recommend and will certainly be back some point soon. Thanks again Laura for being such a good host. Had a wonderful 3 days with friends at Ringshall Grange last weekend. A stunning Manor House in a beautiful setting, the decor is amazing, you can tell the owners have put a lot of thought into it and spared no expense to make it feel luxurious, yet homely at the same time. I especially loved the vintage inspired wallpapers. It was the perfect place to unwind and get away from it all (the hot tub being the first place to start!) and have fun with friends. Our children had the BEST time ever, exploring the house and grounds, they were never short of anything to do and especially enjoyed the fancy dress room (ok we did too!). On Sunday, we rounded off our weekend with a fantastic roast chicken dinner, followed by cheese, both sourced from the incredibly friendly local farm shops. What more could you want? Actually, I want to live here, please?!!!! I spent New Years Eve at Ringshall Grange and was blown away by the property and facilities. The property is located in a stunning setting and the building itself is grand but homely. 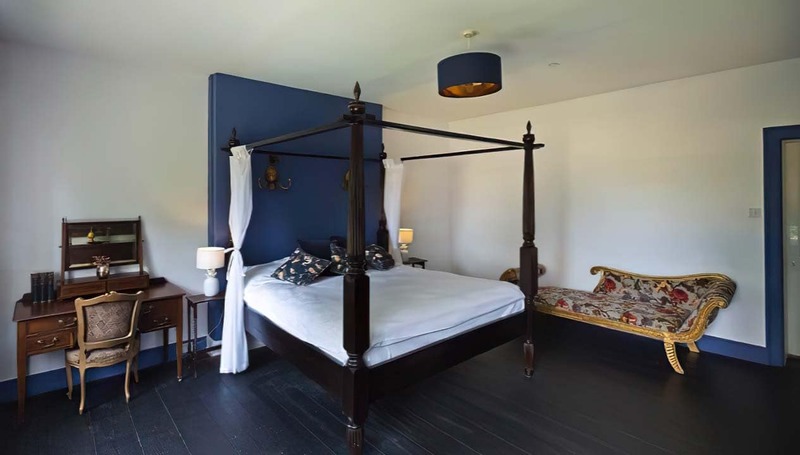 The owners have restored it to a very high standard and have thoughtfully added several new facilities (hot tub, pizza oven, games room to name but a few) to enhance the experience and make your stay feel really special. I would wholeheartedly recommend a stay at Ringshall to anyone looking for the British country home experience. I stayed here for 3 nights to celebrate nye with my friends and the weekend could not have been more perfect. 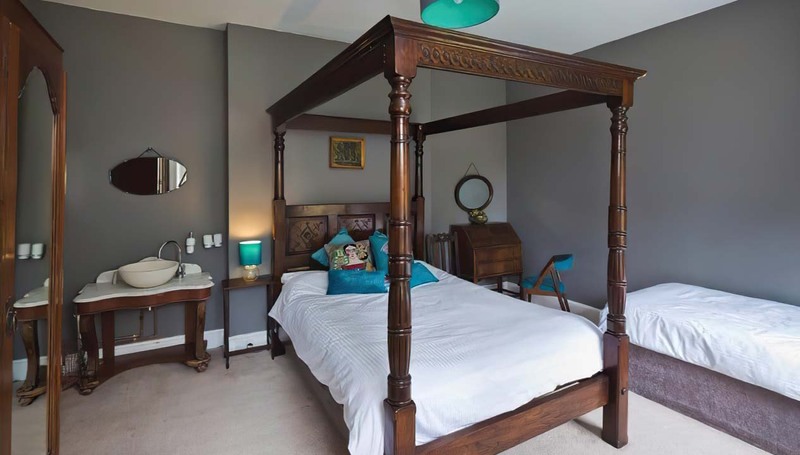 The owners (who are super helpful, professional and friendly) seem to have thought of every possible way to make the house an absolute pleasure to stay in! Hot tub, pool table, darts board, stunning (massive) bedrooms, everything that you could possibly want/need in a kitchen, speakers in each room, karaoke, dressing up room.. the list goes on! And all of this surrounded by beautiful countryside and so much private land to stroll around. 18 of us stayed here without it being anywhere near a squeeze. With so many fun features in the house, we were fully entertained all weekend and would definitely return. Cannot recommend this property enough. 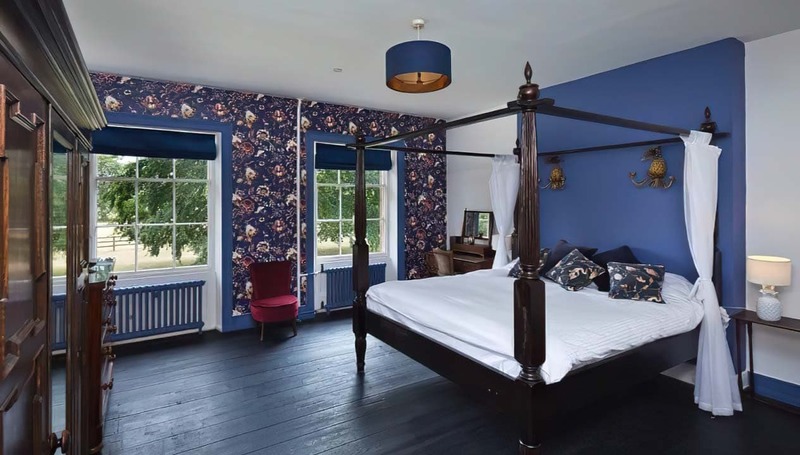 When I originally booked Ringshall Grange back in October for my birthday it was on a total whim after a friend of Laura's posted it on Facebook and I am SO glad I took that leap of faith. The house is a magical place and because of this it's quite difficult to put into words. While its a beautiful big house with a great sense of history and grandeur, it somehow retains a cosy, homely feel. You don't feel scared to touch or use anything... Everything is tastefully decorated and in keeping with the surroundings, nothing's too OTT (except for the glitter walls on then Karaoke room!) and the grounds are beautiful. I think it's because of this homely welcoming vibe, you immediately feel right at home. Our weekend there was definitely one of the best weekends ever and one which the group will never forget. I would (and have) wholeheartedly recommend it to anybody looking for a fun weekend away. Do what I did and take the plunge, you won't be disappointed! Thanks again to Laura and Steven for everything and see you again in 2017! This place is truly awesome. The house is full of character and charm. Stylish yet extremely comfortable. Each room is unique with fantastic design touches. The kitchen is perfect for a large group and has everything you need. The grounds are beautiful. The addition of a dressing up and karaoke room is the icing on the cake. This place rocks and we will definitely return. Thanks for an amazing time. My family and I have just spent a truly magical Christmas at Ringshall Grange, infact probably the best big family get together we've ever had. The house and grounds are obviously spectacular, you can see that from the pictures, but what you can't tell is how warm, comfortable and generous the house is - it has a really brilliant vibe and is such a fabulous party house. Every room is incredibly stylish but also deliciously comfortable. Laura and Stephen have done an amazing job and they couldn't have been more helpful or accommodating hosts. Everything we needed was sorted and dealt with quickly and we were left not one but two beautifully decorated trees plus gifts for our family to enjoy. The biggest trouble with Ringshall Grange is you can't bear to leave! We will definitely book again, thank you! 21 of us stayed at Ringshall Grange and had the best weekend. It is a beautiful house in a beautiful location and equipped with everything we could possibly have needed. Thank you Laura & Steve! This place! What a beautiful house and setting, it has everything you need for a magical weekend of fun, relaxation and happiness. And only a short hop from London - perfect! Would highly recommend to anyone looking for a country escape with friends. What a weekend! 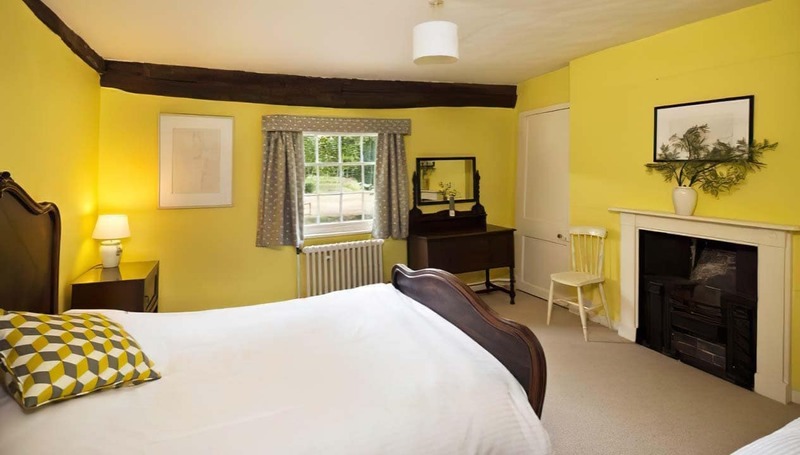 Ringshall Grange is just perfect for a fun holiday retreat. We spent a long weekend at the house and it was filled with laughter, roaring log fires, happy people, fancy dress, music, food, long walks, home cooked food and lots more. All perfectly hosted by Laura and Stephen, who made us feel so welcomed, and were on hand to help us with anything we needed. We'll definitely be coming back and recommending the house to others. We came to Ringshall Grange on a work event, bringing our entire team, about 35 people. The whole two days were fantastic. We ran a team session on the first morning and then set about having some fun. Laura and Steven have created a wonderful place, welcoming, surrounded by beautiful countryside with plenty of space to hang out, eat and generally relax, both inside the amazing house and in the grounds. It was so good, I have booked the house to come back with family. Thanks Laura and Steven, looking forward to seeing you again soon! We had a wonderful weekend at RG. Steve and Laura have done a stunning job of making this place into a home from home which is equally opulent and comfortable. There's so much to explore we spent hours getting lost, and every room is decorated beautifully. We went for my 40th, but it would be ideal for stag/hen parties, weddings, family get togethers etc etc. 20 of us stayed at Ringshall Grange in early September, a last getaway before the Summer holidays disappeared. 11 adults and 9 children gathering from London, Essex, Sussex and Berkshire. The weekend was relaxed, fun and unique because of this unusual house. Laura and Steve's vision comes through very clearly, and the idiosyncratic joining of Tudor, Victorian, Edwardian and millennial worlds is exciting. It's a cosy place, yet it feels like you could easily be in a film, a murder mystery or at an aristocrats party. The grounds are huge and perfect for an explore or a runaround. As an amateur gardener, my envy of the onsite allotment was not convincingly contained. The children were in their element with a dedicated fancy dress/karaoke cubbyhole and the chance to watch Peppa Pig from a gold chaise lounge. Oh, how the other half live. We bought fresh, local ingredients from the farm next door and the rest we had delivered by Sainsbury's without any fuss (and as it's a new address, £20 off our 'first order'. Everyone's a winner. Ish). The adults somehow managed to endure the hot tub, the bar area (cocktails, poker etc) and debating the intricacies of modern education policy and a current failure in British politics whilst drinking bourbon in the whiskey room. Yes, a room for just this activity. Loads to do in the area too - some us took the scenic route to Southwold and others walked to a local vegetarian pub. Laura and Steve went above and beyond - helpful, flexible and generous throughout. This is a special place for all sorts of reasons and all sorts of groups of people. I know that some of our party are already planning to re-book, and I'm looking forward to visiting again one day soon Wholeheartedly recommended.